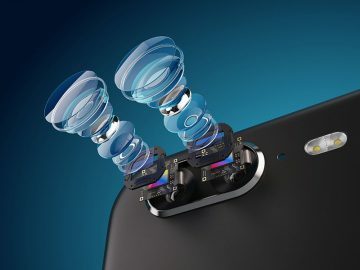 The consumer electronics sector has been experiencing a boom in the ever-expanding offering of smartphones and tablets. 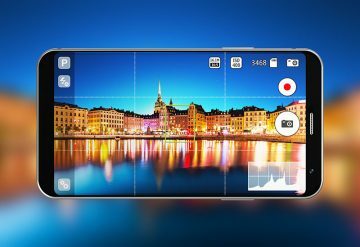 Practically every one of these devices features high-quality cameras and displays. This trend is in turn creating increased challenges for manufacturers of such products who are faced with tough quality control requirements and are expressing a need for reliable test systems to ensure consistently high QA/QC standards. A wide range of testing is required which include setting or validating camera gain and offset, camera gamma and especially white point. In fact, most consumer and professional cameras need their white point verified for more than one type of illumination. 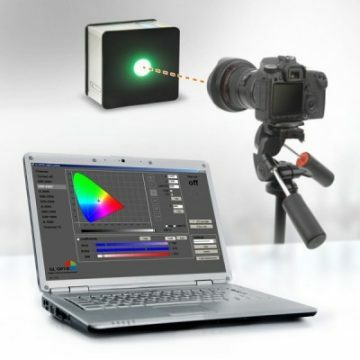 To meet market demand, GL Optic developed a programmable and uniform LED light source, the GL Opti LED 127 for camera calibration applications. This compact uniform calibration reference standard source can simplify tests and measurements for Smartphone OEMs, Camera Module suppliers and end-user electronic systems manufacturers. Thanks to its compact design and easy operation, this solution offers tremendous value for any laboratory application where dependable LED based luminance reference is required. This camera calibration luminance reference standard uses a set of discreet LEDs mounted in a small integrating sphere with the electronic control board all contained within a small tabletop box. A standards USB interface is available for PC based software or control the unit via a DLL for automated industrial applications or production line testing. Mechanical mounts can easily be adapted to operate in industrial or laboratory environment. This single LED based calibration source replaces many different sources previously used for sensors and camera component tests and calibration, optimising production test steps and saving time. 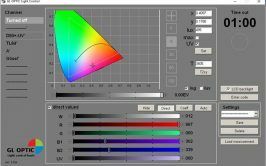 The sequence of settings can be controlled from the software and different luminance levels or color temperatures are immediately emitted by this instrument. As LEDs become more popular the requirement for LED light simulation is increasing. LED based luminance standards are required as a reference source for calibration and research application. In developing the Opti Light, we put major emphasis on light emission stability by using active control of LED performance under different temperatures. All this in a very wide color gamut and high dynamic range. 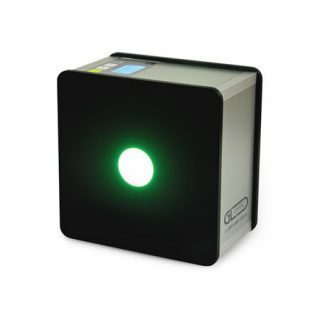 In order to configure a sensors color matrix to follow the requirements of color accuracy, this device can replace traditional color samples plus provides an ability to adjust settings of color so that it responds properly to different light levels and conditions and eventually keep color reproduction accuracy. Signal to noise ratio is one of the key performance characteristics of sensors and it may have impact on sharpness, color and other portions of the image pipeline. This is why SNR is commonly monitored when tuning the sensor. Non uniform light intensity across the image cause by the camera optical geometry results in a shadowing effect. This uniform light source helps to evaluate and correct this effect.